At the age of three I was aware of my awareness. I knew that conflict in relationships is not the way nature designed us. One day I watched my parents fighting and decided that I would find a way to show people ... there is a different way. Much later, in 2006, I called the police to help me walk away from an abusive 6 year marriage. How could I have the universal insight as a gifted child and still end up in this position? Awareness of what led me to that relationship and its dramatic end motivates me to share, to facilitate humanity from every level of consciousness to step into harmony, to be free of self-destructive patterns that are so absent of love. Since 2006, my life has been a very unique, divine regeneration of all that I am. The work I do now facilitates others to regenerate themselves, their relationships and their lives to higher states of love and empowerment. No matter what the context - professional, personal, family, cultural, social - everyone is in relationships. I recognized at some point that my relationships were full of conflict and competition. And then I realized that somehow we've been taught that conflict is "the way". Conflict happens, but conflict does not have to be the default. We send a newsletter about once a month. If you have any questions or feedback, please do communicate with me! How can best assist you? Kerri is masterful in many ways. Utilizing her own innate gifts and abilities, she integrates wisdom, guidance and communication from every realm of consciousness to assist and accelerate your own integration, starting right where you are. 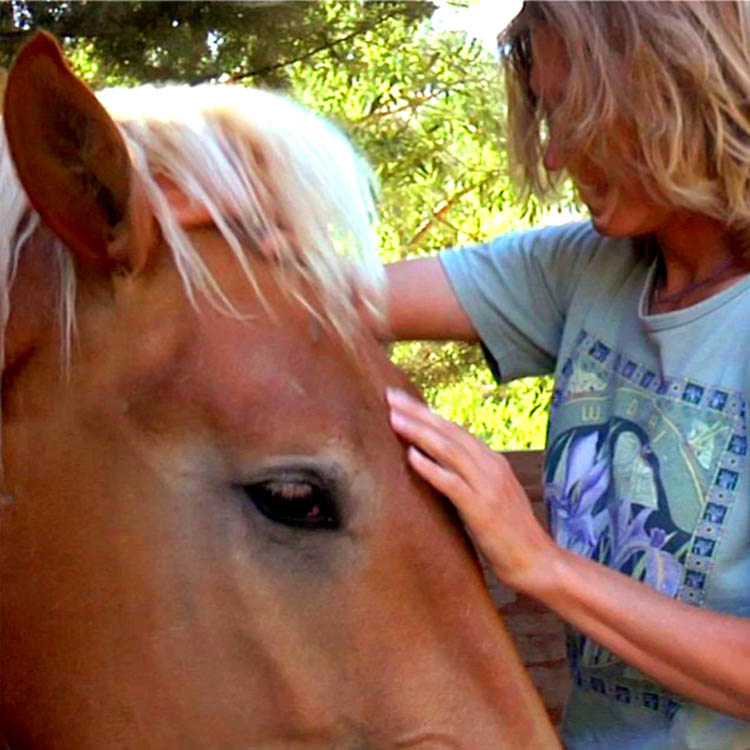 She helps people and animals of all species know the sense of living in harmony and clarity. Her two published books offer a view into the formation of tools, awareness and the courage it has taken to walk through life without compromise. Kerri has blazed a new trail on the road to freedom from limitations and conditioning. On this trail, all species are welcome and integrate through frequencies of communication. The greatest gift she can give to you is her own purity of expression, sharing her own journey, to help you see that if she can do it...so can you. Throughout my life, I have been aware of various levels of communication accessible to us and all of life. Around age four I was told that I can't possibly remember things that happened before I was born, the dog was not talking to me and the trees were definitely NOT telling me jokes. That was confusing because I was also told to tell the truth, which I had...and so an internal conflict began. I had abilities I didn't know how to talk about and there was nobody to listen. Being "good with animals" put me on a path toward veterinary school and eventually studying at UC Davis. Once I got there, though, it became immediately obvious that academia was not readily receptive of my gifts and way of being. Even so, I finished my degree in Animal Science over a span of time while trying to find the courage and space to express myself in the ways that are totally natural to me. I didn't have the vocabulary to describe it, I had no experience with other people who had the capacity to hear me. What I did know is that I was able to change the energy, space and consciousness in a room, a body, a barn, kennel, city, time frame, history...through a very simple and elegant sensory connection, through my presence. A brief introduction to Kerri's journey - keepin' it real. I only learned of modalities like Theta Healing, Meditation, Animal Communication, etc, years after I had condemned myself as crazy and spent almost every last bit of my life force trying to be much less than I am. I was afraid to be different, I was afraid to be the same. I would play silently, everywhere, in "healing work" that has been described as "healing with my being". I see everyone as whole. I see your entire being, and I can't find anything more awesome than you claiming the space to show up as all that you are! And finally I stepped into receiving the love and assistance that would facilitate my own emergence. Divinity is all about your Presence. There is a whole world out there that's called "New Agey", and there is so much judgment around it. But my question is, what could be more foundationally pragmatic than clarity, understanding, and the courage to be honest with ourselves? That's what it takes to remember and bring forth your Uniqueness and divine expression. The greatest gift I can offer you is the fullest expression of my own uniqueness without judgment. That space, the absence of judgment, is the magic, catalytic healing space that the natural and etheric worlds are for us. I know we can be that for each other in this new paradigm of arising consciousness, in our bodies as humans. And what a beautiful world this is. You will receive a newsletter about once a month. Your thoughts and feedback are welcome! Please use the Contact page on the website to communicate with me.